Mario Gotze’s second half goal led to an impressive Bayern Munich victory, which sees the champions move seven points clear of Borussia Dortmund. Franck Ribery and Bastian Schweinsteiger were unavailable, so Mario Mandzukic led the line with Thomas Muller and Arjen Robben on the flanks. Javi Martinez and Toni Kroos played ahead of Phillip Lahm, and Rafinha filled in at right back in Pep Guardiola’s 4-1-4-1. Jurgen Klopp was forced to play a makeshift defence, as all four members of his preferred backline were unavailable. Kevin Grosskreutz and Erik Durm played as fullbacks, while Sokratis and Manuel Friedrich formed a centre back partnership. Although Klopp was forced to make several changes at the back, Dortmund were very much in the match, but the Champions League finalist’s were unable to cope with Guardiola’s second half substitutions. Dortmund came into the match four points behind league leaders Bayern Munich, so dropping points at home wasn’t on their agenda – a loss wouldn’t only benefit Bayern, as it would ensure Bayer Leverkusen second place at the end of the weekend. 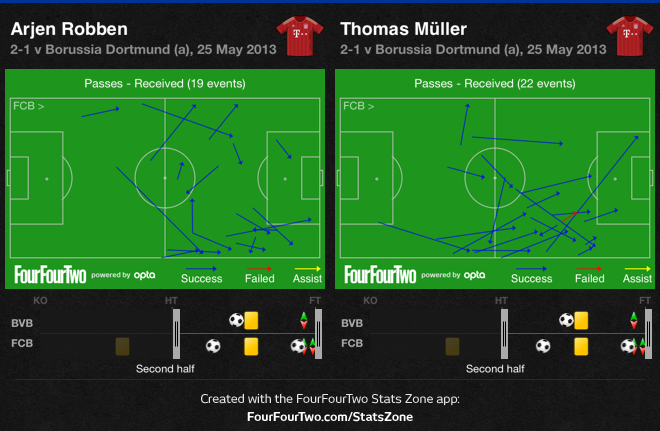 Considering Bayern were expected to focus on ball retention, the onus was on Dortmund to nullify their opponents. As expected, Klopp’s men maintained a high line, dropping into two banks of four, to minimize space between the lines. 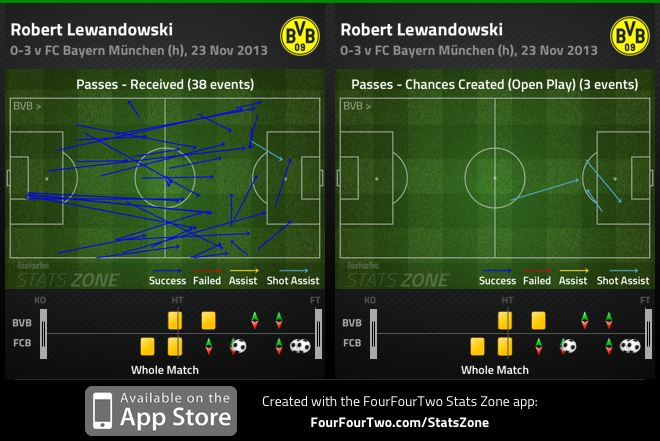 Marco Reus and Jakub Blaszczykowski sat deeper than usual to prevent David Alaba and Rafinha from pushing forward. This left Henrikh Mkhitaryan and Robert Lewandowski up top to press the Bayern centre backs. Ultimately, it was 3v2 at the back, as Lahm dropped into a pocket of space when Dante and Jerome Boateng split, so Bayern always had a passing option available. Drum could afford to track Muller’s movement from the wing – with Reus protecting him – and Robben had glimpses of chances on the left flank, but was often seen buzzing around in Dortmund’s third, searching for gaps of space. Dortmund’s shape was superb – they disrupted Bayern’s passing, limited their threat in the final third, and clearly created the better chances in the first half. 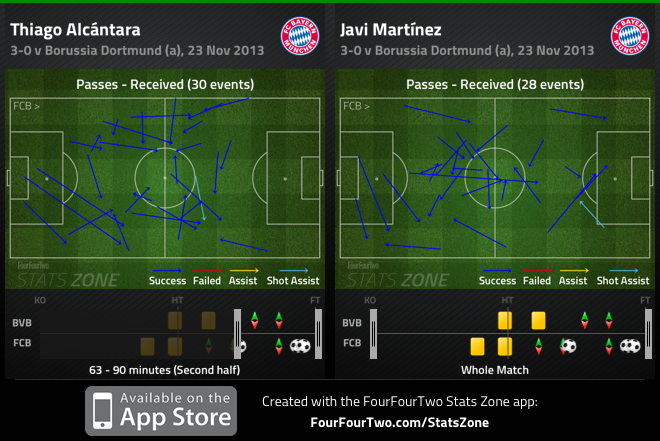 The main surprise in the opening minutes of the match was the positioning of Javi Martinez. The Spaniard, renowned for his brute strength and ability to break up play, was fielded as an attacking midfielder – therefore he was a ‘false 10’. When Dortmund attempted to play out of the back, Martinez closed down Sven Bender or Nuri Sahin, and with Muller and Mandzukic pressing the centre backs, Roman Weidenfeller was forced to lob the ball away. Martinez pegged Bender and Sahin into deeper positions, thus limiting their impact on the match from an attacking perspective. While Bayern’s superiority in possession was evident, Martinez’s role as an attacking midfielder contributed to their low passing numbers. However, the Spaniard’s role affected Bayern’s ability to play through midfield. With Lahm dropping deeper to provide an outlet for his centrebacks, Kroos was the only outlet available in midfield. Kroos drifted around midfield – mostly the left side of the pitch – looking for spaces to receive the ball, but Dortmund’s pressure forced the German to play conservative passes. Guardiola’s men struggled to play forward balls, due to Dortmund’s shape, and whenever they did get forward, Martinez’s inability to play passes in tight areas were displayed. 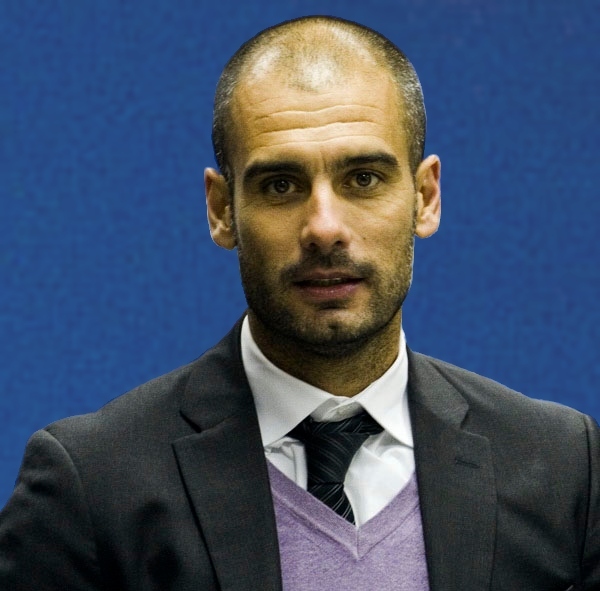 But Guardiola wasn’t alarmed with his side’s difficulty breaking through midfield. Another element in Guardiola’s decision to play Martinez in an advanced role was their direct approach. The aim was for Muller and Martinez to attack balls that were knocked down by Mandzukic, but Dortmund comfortably dealt with Bayern’s long balls. Muller and Mandzukic were peripheral figures in the first half, as they failed to trouble, or stretch Dortmund’s backline. Yet, they were both involved in Bayern’s best chances of the half – Mandzukic’s acrobatic overhead kick from Muller’s cross, and Robben latching onto a Dante long ball, which he squared to Mandzukic, only for the Croatian to mishit his shot. 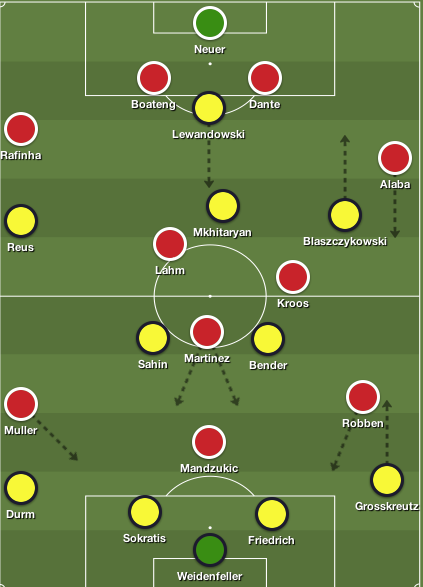 Martinez’s inclusion in an advanced role limited Bender and Sahin’s impact on the match – however, it had the same effect on Bayern’s possession-based and direct approach. 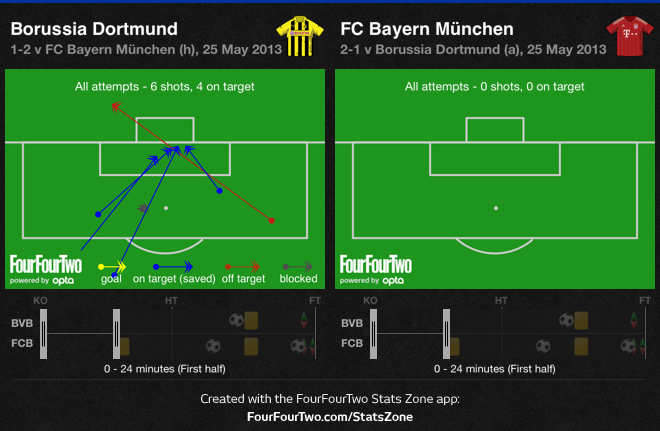 A recurring theme in the last few meetings between these sides has been Dortmund’s inability to convert their chances. Once again, Klopp’s men created several chances on the break, but they lacked that extra bit of quality to beat an impressive Manuel Neuer. But there were a few key feats in Dortmund’s breaks that shouldn’t be ignored. Alaba’s positioning, along with no defensive protection from Robben, left the right flank free for Blaszczykowski and Grosskreutz to penetrate. 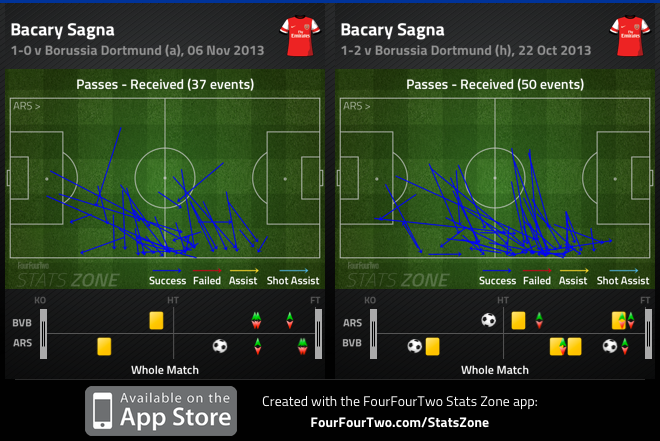 Majority of the chances Dortmund created resulted in the final ball being played behind Alaba. Also, Lewandowski displayed both sides of his all-around attacking game – the Polish striker can play as a conventional no.9 and a no.10. Lewandowski’s movement got him into great positions to play his teammates clear, and although he squandered a great chance at the start of the match, his physical presence and aerial ability gave the Bayern defenders a few problems. 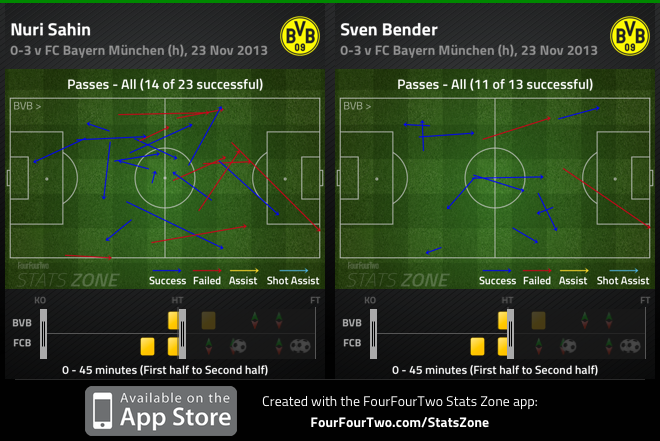 2nd min: Bender played a pass to Lewandowski, who dropped deep and laid the ball off for Blaszczykowski. The Polish wide man cut in and played a great ball to Lewandowski at the edge of the six-yard box, but he turned and fired his shot over the net. 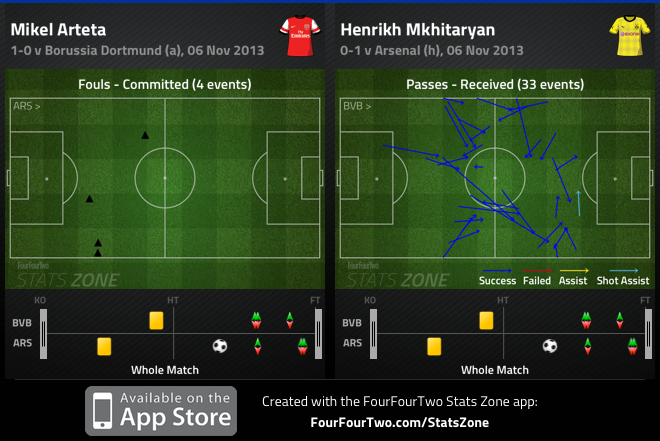 23rd min: Reus intercepts Boateng’s forward pass and Mkhitaryan picks up the ball and drives forward. The Armenian midfielder played a pass to Lewandowski and he slides the ball to Blaszczykowski, who cut in but his shot was blocked. 25th min: Durm’s pressure forces Muller to concede possession, as he can’t control Boateng’s pass, and the Dortmund defender back heels the ball to Mkhitaryan. Mkhitaryan drives forward and picks out Blaszczykowski, who plays a forward pass to an overlapping Grosskreutz, but he takes a first touch and Alaba’s recovery run allowed him nick the ball out for a corner. 28th min: Lewandowski flicked on Weidenfeller’s goal kick and Boateng slipped, allowing Reus clear on goal, but he fired his shot directly at Neuer. 50th min: Bender leads the attack and plays a pass to Blaszczykowski on the right flank. The Polish midfielder cut the ball back to Bender and he chipped the ball into the box, and Lewandowski – who ran ahead of Rafinha – nodded the ball wide of the net. 69th min: Rafinha wildly conceded possession to Grosskreutz, who drove forward and played a pass to Blaszczykowski, who then found Lewandowski between the lines and the Polish striker played an exceptional through ball to Grosskreutz. The Dortmund right back dinked a ball to an unmarked Mkhitaryan, and he controlled the ball on his chest, then took another touch with his feet – giving Neuer time to settle – and fired a shot at the near post, but Neuer made a great save. 72nd min: Grosskreutz’s ball over the top finds Lewandowski, who nudged Martinez aside, and back heeled the ball to Reus, and the German attacker’s shot – that deflected off of Dante – forced Neuer to make a key save. Dortmund created six clear-cut opportunities on the break to take the lead, but they were unable to beat Neuer. They broke up Bayern’s play, attacked space in wide areas, and pounced on individual errors, but their lack of quality in front of goal made the difference. The turning point in the match occurred when Guardiola turned to his bench and introduced Mario Gotze for Mandzukic, and Thiago Alcantara for Boateng – which pushed Martinez to centreback. 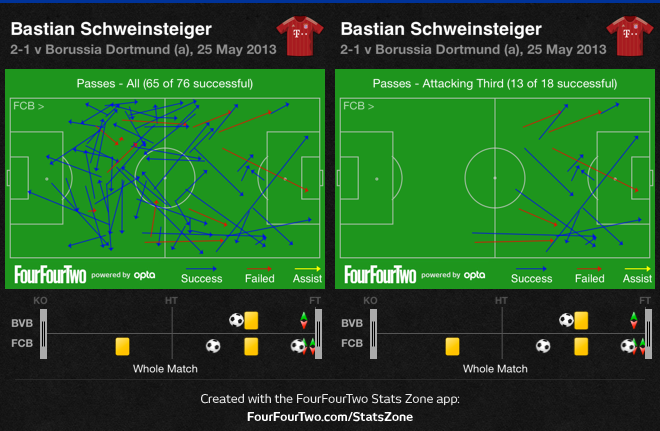 The change gave Bayern an additional ball-playing midfielder, along with fluidity and mobility in their attack. Gotze was dropping deeper to help Bayern retain possession, and pull defenders out of position, and he also made runs behind the Dortmund backline. Bayern began to dictate the midfield, and slowly triangles were beginning to form. Coincidentally, it was Gotze who gave Bayern the lead 10 minutes after his arrival. The goal displayed the difference in how Guardiola’s men utilized possession – there were nifty intricate passes from the right to the centre of the pitch, after Thiago dispossessed Sahin, and it led to Lahm playing a killer pass to an unmarked Muller on the right, and his cross found Gotze unmarked in the box, and he directed the ball past Weidenfeller. Guardiola introduced Daniel van Buyten for Rafinha, which pushed Lahm to right back and Martinez in the single pivot, but the Spaniard’s decision to introduce Gotze and Thiago was a key factor in Bayern’s second half improvement. Unlike Guardiola, Klopp doesn’t possess an abundance of resources on the bench, but he decided to replace Blaszczykowski and Mkhitaryan with Pierre-Emerick Aubameyang and Jonas Hofmann. Apart from fatigue, the decision to introduce Aubameyang was down to the impact he had in the Super Cup a few months backs, when he dominated Bayern’s backline with his pace. However, Guardiola’s substitutions and Dortmund’s intent on going forward, left Klopp’s men vulnerable – Bayern were now keen to sustain possession, and there was space available for Robben and Muller to attack. Bayern put the match out of sight in the final five minutes, but the matter in which the goals were constructed, highlighted the significance of Guardiola’s changes. 85th min: Dante dispossessed Reus near the corner of his 18-yard box and played a pass to Kroos, and he quickly directed the ball to Gotze. Gotze then found Thiago, and the Spaniard played a magnificent cross field pass to Robben, which led to a 3v1 break, and Robben confidently chipped Weidenfeller. 87th min: Alaba, Kroos and Thiago form another passing triangle, and Thiago plays a ball to Martinez who attacked space in midfield and found Robben to his right. Robben runs at Drum before playing in an advancing Lahm at right back, and he delivered a ball across the box for Muller to tap in. Like the opening goal, Thiago and Gotze were key figures in the build up, and Guardiola’s in-game tinkering – moving Lahm to right back and Martinez as a holder – contributed to the final goal. 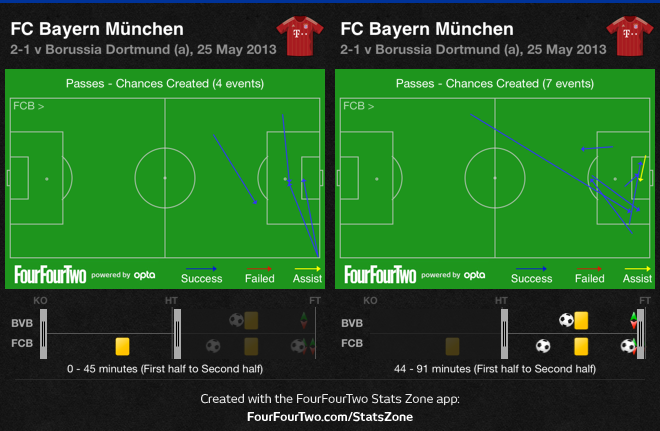 Once again Bayern showcased their tactical flexibility. This match showcased a few elements that we’ve seen in previous encounters – Dortmund’s reactive approach nullified Bayern, but they were unable to convert their chances on the break, whereas Bayern were clinical in front of goal. “Everything is decided in midfield. If you want to win the game, you need to control the midfield,” Guardiola said. Nonetheless, Guardiola’s second half changes gave his side the advantage, thus leading to their dominance for the remainder of the match. “I’ve seen Bayern a lot. Tonight, they played as many high balls as in the last three years combined,” Klopp said. “First, they got at us with long balls, then they bring on the 1.70m boys, not a bad idea,” he added. Guardiola’s pragmatic approach displayed his side’s flexibility and why many classify the Spaniard as unpredictable, – but it also showcased that his side isn’t ready to express themselves under his philosophy. While Bayern continue to grow under Guardiola, Klopp’s tactics are beginning to take their toll on his slender squad, which could diminish their domestic and European challenge. Aaron Ramsey’s second half goal put Arsenal in a great position to progress to the Champions League knockout round for the 14th consecutive year. Arsene Wenger made no changes to the side that defeated Liverpool over the weekend. Sokratis formed a centre back duo with Neven Subotic, while Jakub Blaszczykowski was preferred over Pierre-Emerick Aubameyang on the right of an attacking three, alongside Marco Reus and Henrikh Mkhitaryan. Arsenal produced a mature, yet gritty performance, as they overcame a dominant opening hour from the Champions League finalists to earn a monumental victory at the Westfalenstadion. One of the main feats in the match at the Emirates was the battle in midfield, and it was interesting to see how both sides approached the match. Once again there was a contrast in styles – Arsenal were aiming to sustain possession, while Dortmund were keen on hitting the Gunners on the break. Initially, Arsenal dropped into two banks of four with wide men – Tomas Rosicky and Santi Cazorla – sitting in deeper positions to prevent Dortmund’s fullbacks from pushing forward. Olivier Giroud and Mesut Ozil pressed Sokratis and Neven Subotic, and when Nuri Sahin or Sven Bender dropped deeper, Rosicky closed them down. 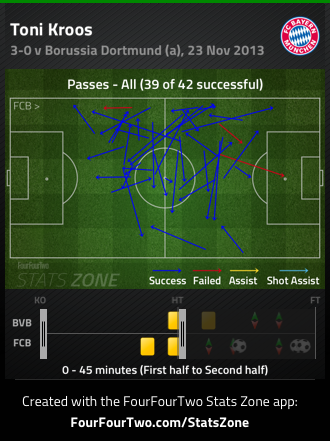 Dortmund was unable to build from the back, which hampered their control of possession. Dortmund also dropped into two banks of four without the ball, but they maintained a high line and displayed terrific work rate throughout the pitch. Lewandowski and Mkhitaryan tracked the Arsenal centrebacks, and the Armenian midfielder also closed down Mikel Arteta when he received the ball. A key feat in the fixture at the Emirates was the amount of space all four fullbacks received down the flank. Klopp was adamant on nullifying that offensive source, seeing as Bacary Sagna has played a significant role in Arsenal’s attack over the past few weeks. Blaszczykowski and Reus pressed Kieran Gibbs and Sagna when they had the ball, and the likes of Sahin and Bender assisted the Dortmund wingers, as they tried to win possession higher up the pitch. Arsenal struggled to cope with Dortmund’s pressure, and they failed to create a solitary legitimate goal-scoring opportunity in the first half. Most of their build-up play was halted before they entered the final third, as Wenger’s men conceded possession easily, due to Dortmund’s pressure. Arsenal’s attacking three dropped deeper alongside Arteta to help the Gunners sustain possession, and push forward as a unit, but Dortmund was exceptional without the ball. Kevin Grosskreutz was a key-attacking element in Dortmund’s victory at the Emirates Stadium, and the German utility player continued to penetrate down the left flank. Gibbs’ positioning improved slightly, as he was rarely caught out in narrow positions – and he had Cazorla protecting him. However, as the match wore on, Grosskreutz’s impact on the match increased, as his runs from right back weren’t being tracked. In the 24th minute, Reus played a ball to Grosskreutz between Cazorla and Gibbs, and the Dortmund right-back’s cross found Blaszczykowski, but the Polish midfielder’s shot flashed wide of the goal. Towards the end of the half, Grosskreutz broke free once again, but his cross went straight into Wojciech Szczesny’s hands. The German right back continued to torment Arsenal’s backline in the second half, as he broke free half towards the touchline, but Arteta intercepted his cutback pass. 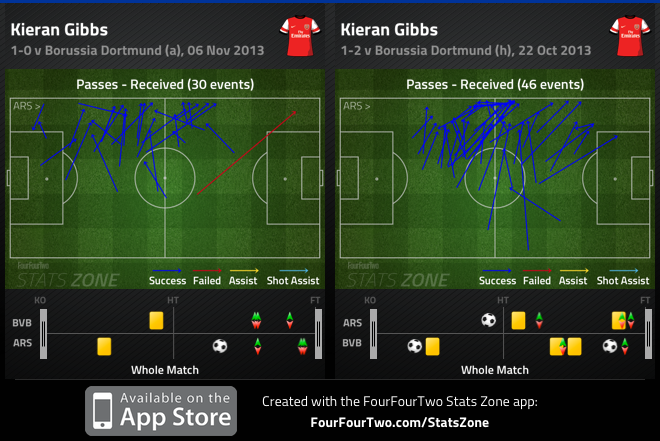 But while Grosskreutz’s impact was significant, Dortmund’s aim was to isolate Gibbs. Dortmund’s best chance of the half stemmed from Robert Lewandowski turning Laurent Koscielny and playing a forward pass to Blaszczykowski. The Polish midfielder squared his pass to an open Mkhitaryan on the edge of the box, but the Armenian midfielder fluffed his shot wide. Blaszczykowski also played in a quality cross into the box – after beating Gibbs on the right flank – but Per Mertesacker acrobatically cleared his lines. In the second half, Bender was free on the right flank, and his delivery found Reus on the edge of the box, but Szczesny saved the German international’s header. Unlike Klopp, who nullified Arsenal’s threat from wide areas, Wenger’s tactical naivety was once again displayed, and poor finishing prevented his side from being a few goals down. The signing of Mathieu Flamini in the summer left many questioning Wenger’s transfer policy, but as shocking as it may sound, the French midfielder has become a key cog in Arsenal’s midfielder. 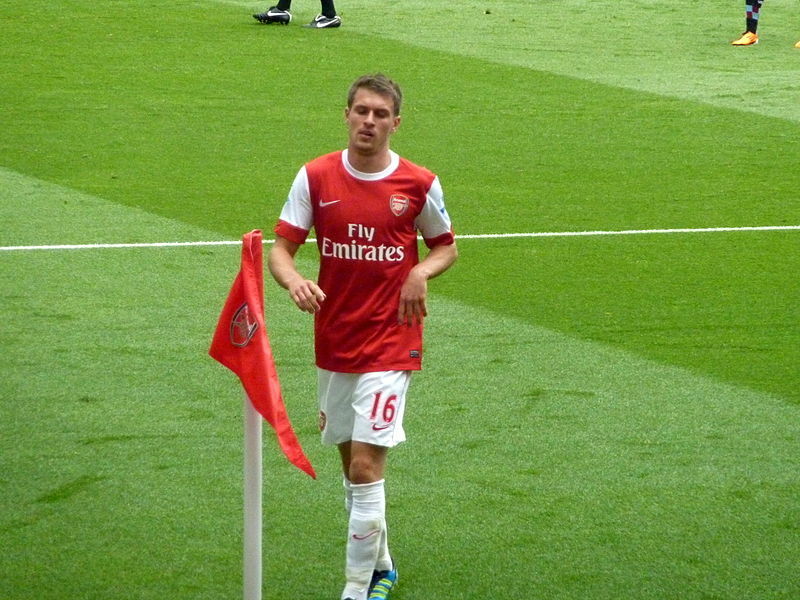 His ability to make tackles, protect the back four, and do the dirty work for the Gunners is often overlooked. Equally, Flamini’s absence from the starting eleven has allowed many to see how important the Frenchman is. The problem with the Ramsey-Arteta duo is the Welshman’s willingness to surge forward, which often leaves Arteta vulnerable to being overrun in midfield. The Spaniard is then forced to make cynical tackles, and his overall impact decreases, mainly because Arteta isn’t a natural defensive midfielder. At Crystal Palace he was wrongfully sent off for fouling Marouane Chamakh, after the Palace striker got behind the Spaniard. In the early moments against Liverpool, Sturridge and Suarez constantly got behind Arteta, posing a threat on the break. More so, this recurring theme continued against Dortmund, and the Spaniard was fortunate to stay on the pitch for the entirety of the match. In the 22nd minute, Arteta was booked for pulling down Blaszczykowski, after the Polish midfielder wriggled away from four Arsenal players and was nearly clear on goal. Eight minutes later, Reus slyly drifted past Arteta and ran at the heart of the Arsenal defence, but Mertesacker read his final ball. In the second half, Lewandowski did well to hold up the ball and play in an advancing Mkhitaryan who ran behind Arteta and played a pass to Blaszczykowski, but Szczesny saved his shot. Mkhitaryan’s movement was clever and he found pockets of space behind Arteta to receive the ball and exploit on the counter. Arsenal may thrive with Arteta and Ramsey against lesser opposition in the Premier League, but the midfield combination has become a distinct weakness that opponents have targeted over the past few weeks, as Ramsey needs to provide better defensive cover for the Spaniard. However, despite the deficiencies that come with the Ramsey-Arteta partnership, Ramsey’s attacking contributions proved to be beneficial. Sokratis failed to clear his lines after Rosicky conceded possession, and the Arsenal midfielder played the ball out wide to Ozil. Giroud outmuscled Grosskreutz to win Ozil’s looping cross and Ramsey got goal-side of Neven Subotic and nodded the ball past Roman Weidenfeller. It was Arsenal’s first shot on target, and the first time Ramsey got into an advanced position in the final third. The Welsh midfielder has relished in central areas as he’s given more freedom to push forward, and minutes after the opener he nearly put the match out of sight. Giroud and Ramsey combined at the halfway line and pushed higher up the pitch. Giroud played a ball into Ramsey, who peeled away from Marcel Schmelzer. Ramsey’s first touch off his chest was immaculate, but Weidenfeller saved his venomous shot from a tight angle. Prior to the goal, Arsenal were desperately hanging on by a thread, but the Gunners gambled and pushed higher up the pitch – knowing that Dortmund could blitz them on the counter – and Ramsey’s forward runs and composure in front of goal paid off. The second half opened up once Arsenal took the lead, this time in favour of the Gunners. In fairness they had the better chances for the remainder of the match. Off the corner kick from Weidenfeller’s save on Ramsey, Giroud nearly directed Cazorla’s corner into the net, but a combined effort from Sahin and Weidenfeller kept the ball out. Dortmund were unable to clear their lines and the ball circulated back to Cazorla’s flank, and he delivered another fabulous cross that Mertesacker nearly connected with. Mertesacker would receive another chance to double Arsenal’s lead a few minutes later, but he guided Cazorla’s free-kick a few inches over the goal. Dortmund looked to the bench to shift the match in their favour by introducing Aubameyang, Julian Schieber and Jonas Hoffman, yet Dortmund’s overall approach didn’t change. Aubameyang was deprived space to take on Arsenal defenders, and as Wenger’s men sat deeper, Dortmund resorted to direct balls into Lewandowski. Wenger reacted to Klopp’s changes by sacrificing Cazorla and Rosicky for Vermaelen and Monreal. Monreal was brought on to nullify Dortmund’s threat on the right side – which forced Aubameyang to the left – and Vermaelen was another body at the back to win aerial duels. Nevertheless, despite the Gunners finishing the match with six astute defenders, the way they utilized possession in the second half was marvelous. Wenger’s men slowed down the tempo of the match by focusing on ball retention, and with the onus on Dortmund to chase the match and their pressing-game depleted, there was more space for Arsenal to play into. Klopp’s men were the superior side for large portions of the match – they combined midfield pressing, quick transitions, and attacks down the right flank to trouble the Gunners, but they were unable to create many clear-cut scoring opportunities or test Szczesny. “I told the team afterwards what everyone who watched the match saw for themselves: we didn’t reward ourselves for the work we put into this game. Losing was unnecessary, but we haven’t lost our hopes yet and everything is still possible as long as we win our two remaining games,” Klopp said. This is a monumental, yet fortuitous, victory for the Gunners ahead of their Premier League showdown against Manchester United at Old Trafford. They weathered the Dortmund storm for the first hour and executed on their first opportunity handed to them. “I was pleased with our focus tonight. We were under pressure from first minute to last but we didn’t make any mistakes and defended well. We were compact and worked together and although there was a difficult period in the first half we put in a very mature performance,” Wenger said. The remarkable feat in Arsenal’s performance was their response once they took the lead. Wenger’s men continued to defend well as a unit, but they retained possession and could’ve added to their lead from set pieces. While progression isn’t secured, Arsenal is in a great position to advance to the knockout round. This week on 2 Guys and a Mike, Mike the Mod and Tyrrell Meertins breakdown the Champions League final, Falcao’s transfer dilemma with AS Monaco and they shed some light on Neymar’s move to Barcelona. Bayern Munich was awarded a penalty in the opening minutes of extra time, after Didier Drogba committed a clumsy challenge on Franck Ribery. It wasn’t the first time Drogba had conceded a penalty while tracking back to complete his defensive duties. Robben stepped up to the spot – he was presented another opportunity to end his Champions League curse, this time against his former employers. In the second leg of Bayern’s semi-final against Real Madrid, the Dutch winger snuck his penalty past Iker Casillas. That was the vital away goal at the Santiago Bernabeu, which pushed the game to extra-time, allowing Bayern Munich to win in a penalty shootout. 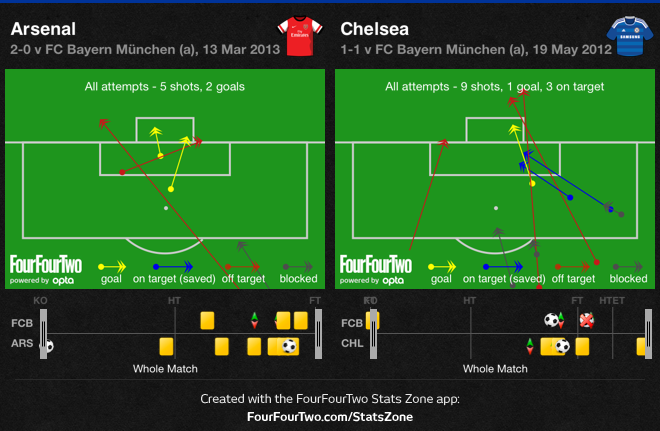 The Bayern winger was this time denied by Petr Cech, as the Chelsea goalkeeper stopped Robben’s poor penalty. Ironically, Drogba caused the penalty, but then converted his own in the shoot-out, to hand Chelsea their first Champions League crown. Bayern Munich had lost in the finals of all three major competitions last season, and Robben missed two penalties at critical moments in those matches – he actually went to the same side for both penalties against Borussia Dortmund and Chelsea, as they were both stopped comfortably. More heartbreak had been added to the Dutch winger’s career as two years prior, not only did he lose another European final against Inter Milan, but he squandered two glorious chances against Spain, which could have won Holland the World Cup. Bayern Munich manager Jupp Heynckes disappointedly provided an excellent analysis on his team’s performance against Chelsea. “We wasted far too many chances. Over long stretches of the match we played really well and had a lot more possession. We just weren’t able to exploit the chances we created,” Heynckes said. In Bayern’s only loss of the knockout round against Arsenal, we witnessed a similar performance – albeit the tie was virtually won in the first leg. Bayern dominated possession and outshot the Gunners, yet they failed to convert their chances – while their London opponents did. Many were skeptical on whether they would see the Robben of old, or Robben in general, if Bayern went deep in the competition – the Dutch striker is known for his obstinate shooting, one-dimensional play, and his patent left foot. These features elevated Robben into a world-class player in the past, but it never proved to be a pivotal feat in cup finals. The emergence of Toni Kroos towards the end of last year’s campaign pushed Robben to the bench this season. 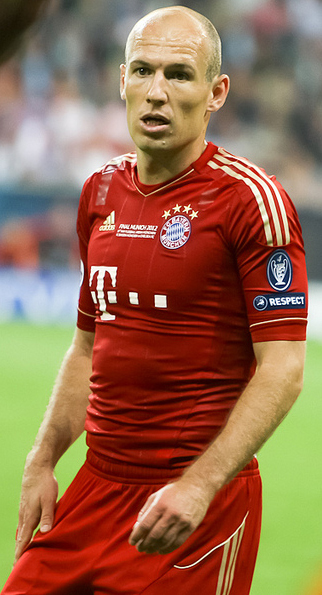 Kroos, Thomas Muller and Ribery played behind the striker, as they provided a balanced front three. Kroos is the playmaker that plays incisive passes, creates overloads on the flanks and can drop deep to become a midfielder. Ribery is the direct winger that thrives in 1v1 situations – while Muller is a tactically disciplined attacking player that attacks/finds space, but can also produce goals. It was simple – Robben had no place in the starting lineup, but he provided great depth, and played great football when he featured in the side. Most notably, he scored a fantastic goal against Borussia Dortmund in the DFB-Pokal quarter-finals to knock them out of the competition. 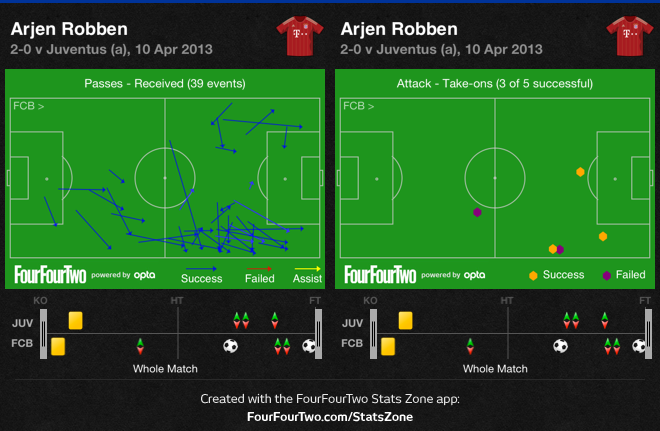 Robben’s fortune changed in the opening 20 minutes of Bayern’s Champions League quarter-final match against Juventus. Kroos had suffered an injury and limped off the field – this forced Heynckes to introduce Robben, and shift Muller behind Mandzukic. Kroos’ absence surprisingly didn’t harm Bayern like many predicted – they possessed two direct wingers on the flank against teams who were vulnerable in that area. 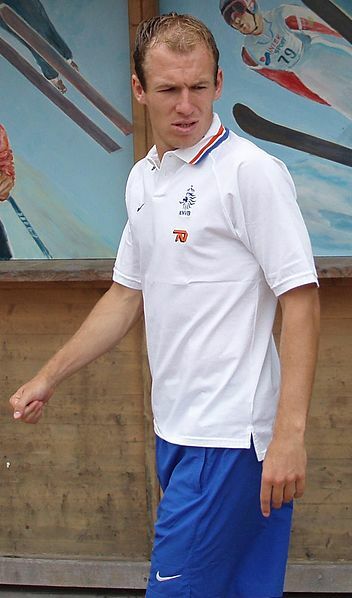 Robben relished his role, as he was often left unmarked in advanced positions, which allowed him to engage in 1v1 battles with Juventus defenders. He also helped Mandzukic and Muller press the Juventus wingers and his understanding with Phillip Lahm saw them create several overloads. Robben once again played a key role in dispatching Spanish champions Barcelona. Barcelona has faced a serious issue this season defensively – injuries have played a factor, but their fullbacks create a defensive imbalance. Both Dani Alves and Jordi Alba surge forward into advanced positions, which leaves Barcelona vulnerable against quick counter-attacks. Robben did a great job tracking Alba’s runs throughout the tie, and he was a main threat going forward, thriving in 1v1 battles against Jordi Alba – he also produced a vintage Robben goal that decided the tie at the Camp Nou. The Dutch winger’s experience and good form were key factors in his anomalous performance at Wembley. He was ridiculed for wasting several chances in the first half, yet he was Bayern’s most influential player going forward. 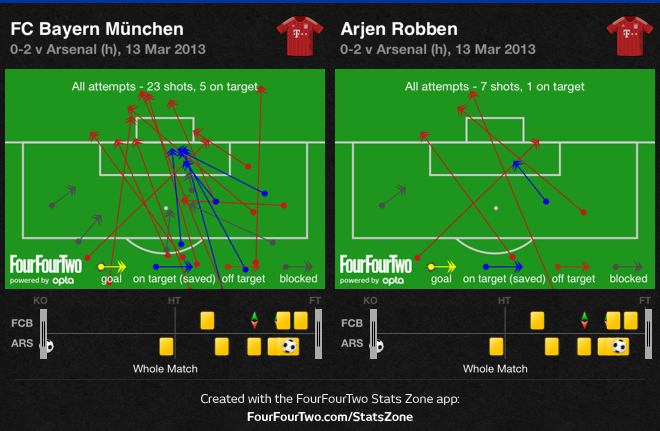 Robben drifted centrally, making diagonal runs behind Dortmund’s narrow high line. 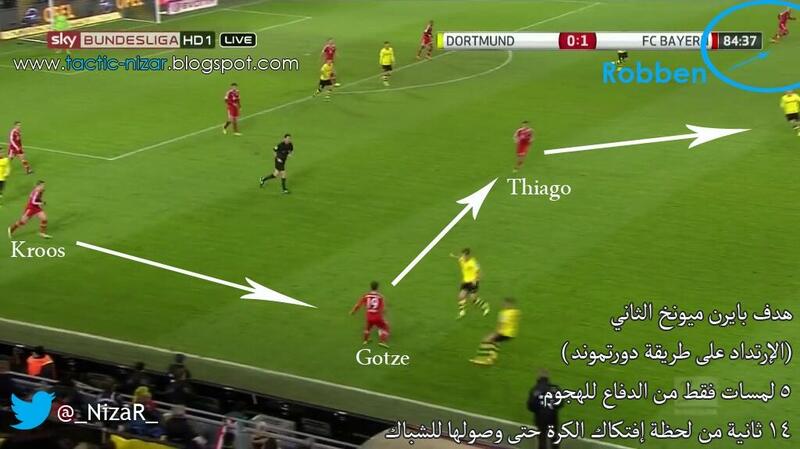 Heynckes made a tactical alteration at half time playing Robben behind Mandzukic as a second striker. Robben was familiar with the role, as he played as a second striker in the World Cup final against Spain in 2010. With Dortmund legs tiring, along with their tactical naivety to abandon a high line, Bayern took control of the match allowing Robben to prosper. 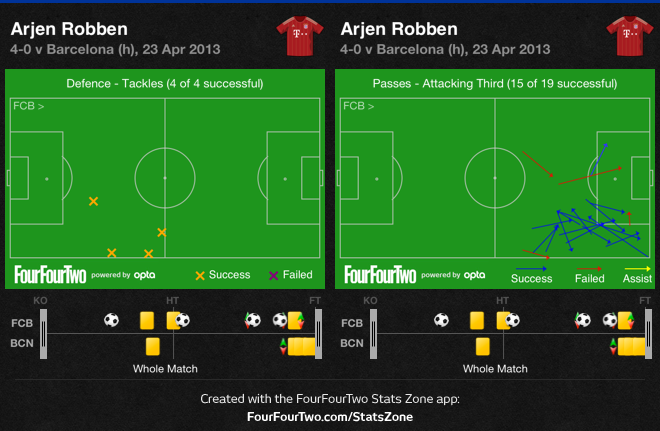 Although Robben squandered his chances in the first half, there were warning signs that Dortmund overlooked. Robben was involved in both goals, and they were reminiscent of his missed opportunities in the first half – Robben making a run behind Subotic to provide an assist and a long ball that the Dortmund defence couldn’t cope with, allowing Robben to skip past Mats Hummels and Neven Subotic to net the winner. It’s been a wacky 12 months for Robben – he went from being a zero, to an impact sub, and he’s ended the season as a hero. In the last few weeks, I have been very aware of Arjen, very conscious of how I train with him, taking care of his fitness to make sure he didn’t get injured,” Heynckes said. The Dutch winger played a key role on Bayern’s road to lifting their first Champions League title since 2001 – it took three finals in four years to achieve this feat, but they are now winners. After claiming domestic trophies in four different countries, Robben can now add European silverware to his collection. “That’s three finals, and of course you don’t want the stamp of a loser. You don’t want that tag,” Robben said. Unfortunately, Robben’s future with Bayern Munich is still in doubt, as he doesn’t fit the mold of a Pep Guardiola player. Since the Guardiola news broke earlier this year, the Dutch winger has raised the level of his performances, and has shown his tactical awareness, along with his ability to be a top winger offensively and defensively. Robben’s road at Bayern may come to an end at the tender age of 29, if so, it’ll be as a European champion. Bayern Munich claimed their fifth Champions League title courtesy of an Arjen Robben winner in the 88th minute. Atlético Madrid won their 10th Copa Del Rey title, as they defeated cross-town rivals Real Madrid at the Santiago Bernabéu. Jose Mourinho made several changes to the side that drew Espanyol last week. Mourinho’s 4-2-3-1 saw Karim Benzema lead the line, while Mesut Özil, Cristiano Ronaldo and Luka Modric played behind the French striker. Xabi Alonso and Sami Khedira formed a midfield two, and Raul Albiol replaced the injured Raphael Varane at centre back. Diego Simeone made three changes to the side that was defeated last week by Barcelona at the Vicente Calderón. Diego Costa, Arda Turan and Koke formed an attacking three behind Colombian striker Radamel Falcao. Mario Suarez replaced Tiago to form a midfield two with Gabi, while Felipe Luis started at left back. Real Madrid end their third season under Mourinho trophyless, as Simeone’s men were effective in wide areas. Over the course of the season Real Madrid has struggled to break down teams that allow them to hold possession. Its been one of the many issues Mourinho has been unable to solve during his tenure at the Bernabeu, and it has led to multiple points dropped away from home. Simeone’s men allowed Madrid to have the ball, as they often dropped off into a 4-5-1. Although Atlético sat off, they closed down spaces well, and often kept a compact shape. With Madrid playing without any natural width, Los Colchoneros sat narrow and soaked up pressure. Going forward Atlético’s aim was to win the ball in midfield, and counter with pace. Diego Costa often surged forward when Simeone’s men won the ball, as Fábio Coentrão was eager to get into advanced positions. 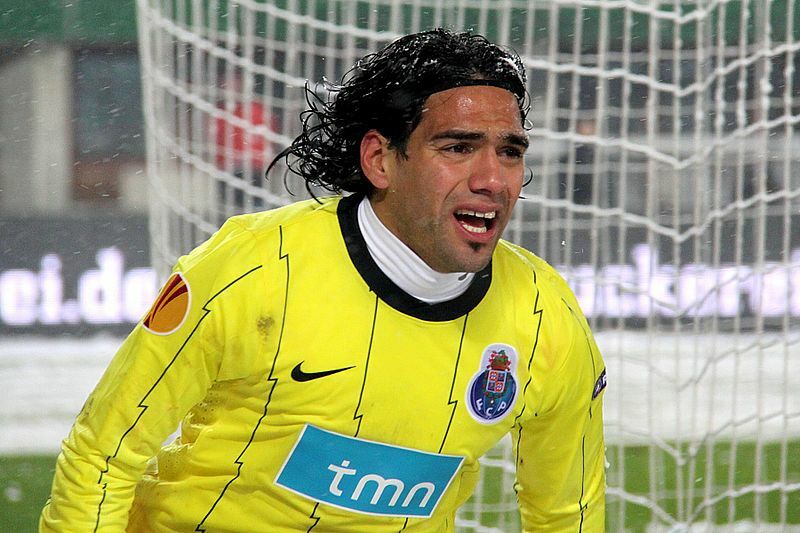 This approach led to Los Colchoneros equalizing goal, as Falcao displayed his quick feet and unbelievable strength to break free, and play in Costa – The Brazilian’s first touch was superb and he fired his shot past Diego López. Atlético’s shape stifled Madrid when they had possession – when Simeone’s men won the ball, they looked to expose the space available, mainly through Costa. Madrid started the match without a natural winger – Özil played on the right, while Ronaldo started on the left. Both players drifted centrally and were unable to carve open an already narrow Atlético defence. Yet again we witnessed a reoccurring situation with Özil, as the German playmaker failed to have a significant impact on the match when another playmaker is sitting in the hole. Although Özil starts on the wing, he laterally glides across the pitch looking to pick up the ball in between the lines. With another playmaker on the field, Özil’s space is restricted, and once again in a monumental match, he failed to impress. Without natural wide players, Madrid depended on their fullbacks to provide width. Coentrão and Michael Essien were cautious when getting forward – Atlético looked threatening on the break due to Costa’s constant forward/diagonal runs, and Felipe Luis was eager to attack the space behind Essien. Initially Ramos covered the space that Costa was looking to attack, but after the goal, Coentrão rarely got into advanced positions. Essien didn’t offer much going forward, and with Özil drifting centrally, Luis was able to run past Turan and get into Madrid’s final third. Luckily for Essien, Khedira and Alonso shifted over to the right to prevent overloads and clear breaks. There was no surprise that Madrid took the lead from a fantastic Ronaldo header off a set piece, as Mourinho’s men were unable to create openings through the middle. The press has scrutinized Luka Modric’s time at Madrid, as the Croatian midfielder has failed to reach the heights, which saw him become one of the top midfielders in world football at Tottenham. Modric is an element that Mourinho was deprived of in Madrid’s Champions League exit against Bayern Munich last season. He’s a nifty midfielder, that is good at finding space across the pitch to receive the ball – he can also drop into the midfield to create a midfield three, rather than just looking to receive the ball in between the lines. Unlike the first leg against Borussia Dortmund, Modric thrived in the hole, behind the striker. The Croatian was picking up the ball in between the lines, skipping past defenders, spreading play from deep positions, and working hard to win the ball back in the midfield. Modric controlled the game during his time on the pitch – in advanced and deep positions he was dangerous, and his will to retain possession was vital. As the game wore on, Madrid looked favourite to find a winner – many would say they were unlucky not take the lead, as Mourinho’s men hit the post three times. Although those who make that claim are slightly correct, Madrid’s approach can be blamed as well. Ronaldo’s free kick that hit the post in the 67th minute was unfortunate, and on another day it may have rolled in. But Ozil and Benzema’s chances were perfect examples of Mourinho’s tactical imperfections. Both chances stemmed from Madrid succeeding in wide areas, as Coentrão and Ronaldo provided cut back passes that resulted in shots off the post. In extra-time Ángel di María, who was introduced to provide width, played a sensational ball across the box to Mesut Ozil, but Thibaut Courtois denied the German playmaker. Mourinho could have introduced Di María earlier or ordered Ronaldo to hug the touchline, but the Portuguese manager failed to do so, despite his side creating their best chances from wide areas. On the other hand, Atlético used width to their advantage, and provided Madrid with a few scares throughout the match. An unmarked Luis got forward twice at the start of the second half, but was unable to get his shot past López. Costa was the other threat on the flank, as his diagonal runs harmed Madrid’s back line. In the first half it led to a goal, and in extra time he made the same run behind the Madrid defence, but López came to the rescue. Unfortunately for Madrid, Miranda gave Atlético the lead in extra time, as Mourinho’s men failed to clear their lines, and Miranda nodded Koke’s cross from the right flank past López. Not only did Madrid fail to provide natural width, but they were unable to cope with Atlético’s. Madrid made a triple-substitution at the start of extra time. Di María, Gonzalo Higuain and Alvaro Arbeloa were introduced. Higuain was brought on to offer something new in attack – Di María provided the natural width that they lacked throughout the match, while Arbeloa was brought on to help nullify Costa’s runs. Higuain and Di María were involved in two great chances for Madrid in extra time, but Courtois made vital stops to preserve Atlético’s lead. Simeone made player swaps, as Koke, Turan and Costa had worked their socks off. Atlético were holding on to their lead, and were able to do so, as Madrid’s substitutions didn’t have a significant impact on the match. Atlético Madrid ended their 14-year winless drought against cross-town rivals Real Madrid, as they claimed La Decima. It was a match that lacked a tactical theme – one side failed to use width, while the other side did and succeeded. Simeone’s men stuck to their approach, despite conceding early on in the match, and it paid off. “They finally lost their fear and the hearts of each player combined to win the match, and it was amazing. We were fortunate because in football, teams that win have a slice of luck. We believed that we’d win the game,” Simeone said. “What brought us these achievements has been this – you see Diego Costa running 50 metres back, see Koke, [Radamel] Falcao and Gabi all sacrificing themselves for the team,” he said. Simeone highlights that his side fought for the team, while on the opposing end we failed to see that – Mourinho losing the backing from majority of the players has played a factor. Once again in a high profile match, Mourinho failed to make tactical alterations to change the result. Mourinho’s arrival to the Bernabéu three-years ago, saw him put the final pieces to a side that’s lethal on the counter attack, but he failed to provide them with another tactical identity during his tenure – virtually Madrid were simply a counter-attacking side that lacked a plan B. The Portuguese manager was hired to win La Decima – ironically his last game as Madrid manager saw his cross-town rivals achieve that feat at his expense.